Florida has more condo associations and homeowner associations (“HOA’s”) than almost any other state. So the question of what happens with HOA assessments in bankruptcy comes up often in our practice. Can past due assessments be discharged? What about post-petition assessments? The answers are a bit complicated and depend on whether you’re keeping the property, and which Chapter of bankruptcy you’re filing under. HOA’s enjoy secured creditor status by virtue of Florida law. This allows them to lien a property and foreclose for unpaid fees (including maintenance, special assessments, and even attorney’s fees and costs of collection). Think of their lien rights almost like a mortgage. Though you can certainly discharge your personal liability for those past due fees, the lien can still be asserted against the property itself. So if you’re keeping your home, you may need to pay all pre-petition and post-petition HOA dues to avoid foreclosure. But what if you’re surrendering your property? In that case, you will only be on the hook for the assessments incurred post-petition (since the filing of your bankruptcy). This liability will continue until the property is no longer titled to you – despite your having “surrendered” the property in the bankruptcy. In this scenario, it may be a good idea to ask your lender if they would consider a deed-in-lieu or short sale. The goal is to find a way to divest yourself of the property as quickly as possible. 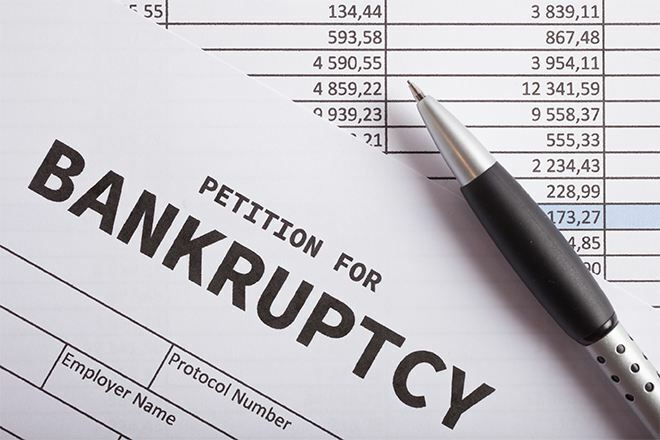 Chapter 13 bankruptcy offers homeowners with HOA debts several options not available in Chapter 7. If there is no equity in the HOA lien (i.e., the property is worth less than the amount of the first mortgage), you may be able to “strip” the HOA lien in a Chapter 13. Those pre-petition fees would then be relegated to “unsecured debt” along with your credit cards and medical bills. Moving forward, you would only need to pay the current post-petition dues to the association each month to keep in good standing and avoid foreclosure. If your lien is not strippable, there is another option. You can get current on those past-due assessments by paying them in the Chapter 13 plan over a period of 36-60 months. At the same time, you must pay the current monthly HOA dues moving forward. This will effectively thwart the foreclosure process, while allowing you to “catch up” and get current with the HOA. So what if you’re filing a Chapter 13 for other reasons and want to surrender the property? It is clear that the past due HOA assessments are fully dischargeable in that circumstance. What is not so clear is what happens to the post-petition assessments in a Chapter 13 while the property is still titled to you. That is an issue which, to my knowledge, has not been formally decided in the Southern District of Florida bankruptcy court where we practice. There is a split of authority on this in other jurisdictions, so it’s only a matter of time before the judges down here weigh in. Stay tuned.